Nathan: Born June 28th 1983, Graduated from Missouri Valley College (Business Degree) and is wrestling More…for the US Army Greco Roman Wrestling Team and is ranked 3rd on the Olympic ladder placing 3rd at the USOC World Team Trials this June at 55kg. Nathan has a good chance at being our Olympic representative in 2012 in London. Ashley: June 28th 1983, Graduated from Sacramento State University (Communications) and got married last July to Brenton Scott. They live in Indianapolis, IN. Ashley sells new homes. She was a 3X Girls California State Champion Ages 8 to 13. Lindsay: Born March 17th 1987, Graduated this past June from CalPoly in Business and is working for Trinchero Family Vineyards (Sutter Home). 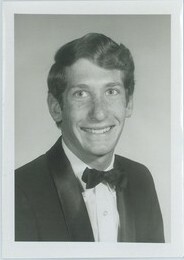 After graduating I went to UC Davis and received my BA in Political Science in June 1974. Three out of the four years at UC Davis I was on the Varsity Wrestling Team. As a wrestler I was very average winning no more than 35% to 40% of my matches, but enjoyed the experience. I was fortunate to get into the MBA Program at the Anderson's School of Management at UCLA for fall 1974. Getting my Master's in Business with a Specialization in Marketing (June 1976). I had the unique distinction myself in my class of 300 people accepted into the program for the fall 1974, as having the lowest GMAT score accepted. After graduating I applied for the normal types of jobs that one would apply for with an MBA from UCLA, but out of 55 interviews only got two second interviews and no job offers. So I entered an MBA Program that Metropolitan Life had in Los Angeles, decided I didn't like Los Angeles, moved to San Jose November 1979 and have been with my current agency since which is with the Principal Financial Group. From 1981 through 1986 I was the Assistant Wrestling Coach at Cupertino High School. In March 1991 we moved to St. Helena and half the week I have been spending in San Jose with my Silicon Valley practice and the second half of the week I work at a Property and Casualty Agency in St. Helena which specializes in working with winery owners, winemakers and vineyard managers. In 1994, along with two friends in St. Helena, we got the wrestling program started again at the high school and I served as an Assistant Coach through 2002. In 1998 when the twins were at the end of 8th grade I went through a divorce. My ex moved with our maintenance guy to Florida so by default I had my three children 100% of the time. The nanny was the head wrestling coach at St. Helena High School. This required a change in my schedule, but it was positive for me and I attempting to do the best I could parenting by myself. My parents came from Marin every weekend to bring food, help out, and my mom taught Heisched (Nanny and wrestling coach) and I how to clean a different part of the house every weekend. Professionally I was the leading Producer for the Principal Financial Group Nationally in 2004 and 2005 much to the surprise to the people that know me. Other projects: Sonoma Vernal Pool which was the first Vernal Pool Preservation Bank on the Santa Rosa Plain where I served as the President till we sold all of our credits (1994-2004). I also have a small wine business, Engel Family Vineyards, which produces 150 to 180 cases of Merlot initially, now a blend of Cab and Merlot. Our winemaker is Bob Foley and any profits we have we donate to USA Wrestling which buys shoes and equipment for children that can't afford it throughout the nation. The best experience I've had since graduating from high school was a decision in 2008 to go back to college to pick up my Red Shirt Year in Wrestling at San Jose State so when I was 56 I signed myself up for two Econ classes taught by a Professor at SJSU who was on the wrestling team with me at UC Davis and went out for the San Jose State Wrestling Team which is a Club Level Team which is the lowest level of collegiate wrestling so we wrestled Junior Colleges and entered a few tournaments with Division 2 and 3 teams and I was the back up. When it came to conference coach decided I would wrestle at 149 as the top three made Nationals and that was an easier weight class. At conference I placed 5th and the top 8 being considered all conference. 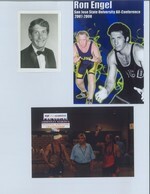 I had a terrific 3-6 record winning the same 1/3 of my matches that I did the first time through college in 1970-1974. I was petitioned in for Nationals, so I was one of the 32 Qualifiers to be able to wrestle in March 2008 at the National Collegiate Wrestling Championships. Of the 32 Qualifiers the second oldest was 23. Needless to say it was an interesting experience going on Spring Break to wrestle in Florida at Nationals. Just one example of the treatment AARP Members experience in terms of discrimination as return college students is when a security guard asked me to leave the warm up area because it was only for the "athletes." I guess he must of thought I was crazy and just looking like I was warming up in my. Bad news is that I got the number one seed first round who was the National Champion and me being the number 32 Qualifier, but did well against the Ohio State Wrestler and did not embarrass myself. The two things I remember from my freshman year is being unfortunate enough to get the one class that Dean Archzinger taught and after two weeks of him telling me “Engel I bet you I will either suspend or expel you by the end of the semester” which was a wake up call that ADHD was not a recognized disability in 1966 and I better shape up. Second about the same time I decided, as did 1/3 of the freshman males, to go out for football. The doctor told me I was at 103lbs, too small, so I should go out for C Basketball because I might get hurt. So I went out for C Basketball, lasted half of practice and got cut being told that by the time one is in high school you’re supposed to be able to dripple the ball without looking at it at which point I went out for the cross country team and enjoyed that experience. Ron Engel has a birthday today. Ron Engel has a birthday today. New comment added. Ron Engel added a comment on his Profile. New comment added. This next photo is April 2003 after the finals of the 63kg (138.75) GrecoRoman Veterans National Championships Age Group 50 to 54. I won the match 7 to 1. 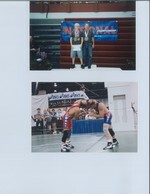 National Champion (there were only 2 of us in this age group and weight class) 90% of life sometimes is just showing up.